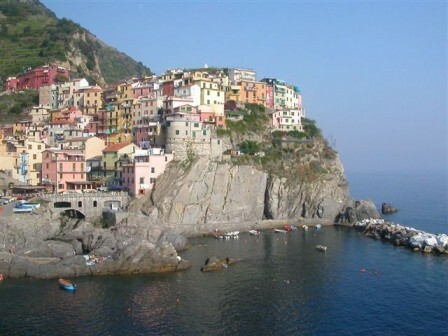 It is located in the historic center of Manarola, in Via Belvedere, 168. In a typical Ligurian alley “carrugi". At 30 meters from the door you will find a spectacular viewpoint, suspended overlooking the sea, a spectacular panorama with a 180 ° perspective of the Cinque Terre. La Stiva is just 100 meters from the sea and a 5 minute walk from the train station. Exit at La Spezia – S. Stefano Magra on the A12 motorway or on the A15 motorway. After crossing the city of La Spezia, take the provincial road 32 (formerly state highway 370) called the Litoranea delle Cinque Terre. After about twenty minutes, after the third tunnel, the road suddenly turns left and descends towards the village of Manarola. Note however that in the last stretch of road to the country, beyond the barrier, parking is reserved for residents only. There is also a paid parking lot. An electric bus service operates from the town of Manarola to the delimitation bar of the section reserved for residents' parking. Electric buses also guarantee the connection with Groppo and Volastra. The Manarola railway station is located on the Genoa-Rome Tyrrhenian line. 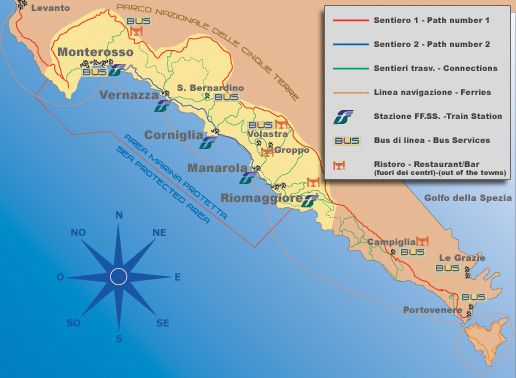 For long-distance trains the reference station is La Spezia Centrale; from here it is possible to continue with regional trains in the direction of Genoa: Manarola is the second stop, after Riomaggiore. Finally, in the nearby stops of Riomaggiore and Monterosso, some interregional medium-distance trains also stop. In the tourist season a scheduled boat service connects Manarola with the other villages of the Cinque Terre, except Corniglia which does not have a landing point. Boats depart from the Cinque Terre for Porto Venere, in turn connected with La Spezia and Lerici.